Things are looking up for Android’s tablet aspirations. Though the iPad is still the market leader, Android tablets are slowly carving out a space, to the tune of 4.5 million shipments in the last three months. That’s 26.9% of the worldwide market, edging up towards the iPad’s 66.6%. The growth is considerable, since not long ago the iPad made up a huge 80% chunk of sales. Unfortunately a large percentage of Android tablets are still running on Gingerbread or Froyo, essentially translating a smartphone interface into a 7-10″ screen. According to Google’s latest activation and OS percentage numbers, only 3.4 million Android devices are running Honeycomb, despite a worldwide total of 6 million. Smaller, cheaper tablets are still firmly in the Gingerbread space, even for new offerings from the likes of ViewSonic and Velocity Micro. 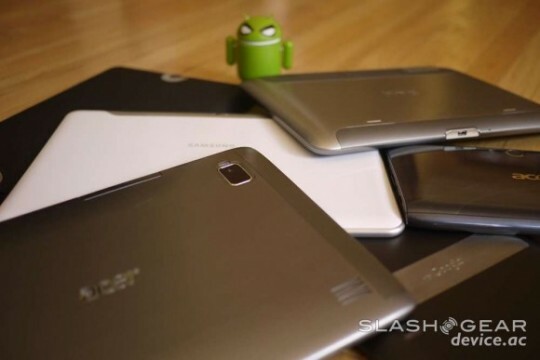 But there’s hope on the horizon for cheap Android tablet everywhere in the form of Android 4.0. Ice Cream Sandwich features a scalable interface equally suited to smartphones and tablets, and according to Google engineers, the OS will be open-sourced by the end of the year. After that, it won’t be long before OEMs begin to make new tablets to take advantage of Ice Cream Sandwich, and the Android developer community won’t take long to get Ice Cream Sandwich onto current tablets of all sizes and price points. The upcoming Asus Transformer Prime is suspected to be the first commercial tablet with Ice Cream Sandwich.